Making a big impact on social media, Initiative Q has been giving away its pending digital currency to new users who sign up using a referral link in a move to grow its adoption rate before launching its planned payment network. But is Initiative Q a Halal concept? 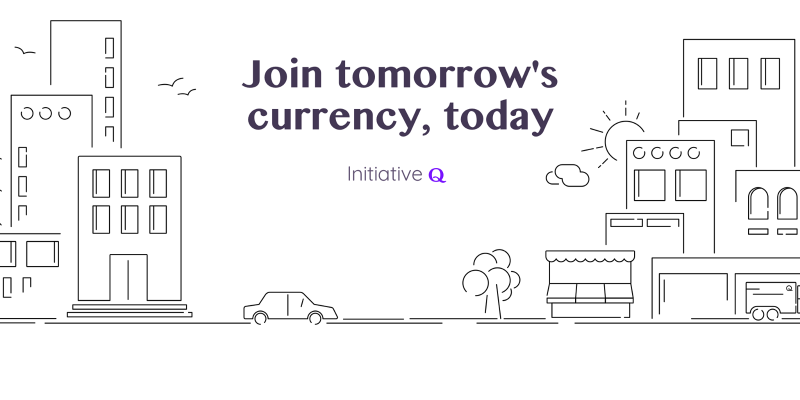 Initiative Q says it is building a new payment system, part of which will include new currency called Q. It was founded by people including entrepreneur Saar Wilf, who sold his fraud detection business to PayPal in 2008, and economist Lawrence White, it claims to bring together lots of cutting-edge technology to “create a flexible, easy-to-use and inexpensive payment network”. Initiative Q is an attempt by ex-PayPal guys to create a new payment system instead of credit cards that were designed in the 1950s. The system uses its own currency, the Q, and to get people to start using the system once it’s ready they are allocating Qs for free to people that sign up now (the amount drops as more people join — so better to join early). Signing up is free and they only ask for your name and an email address. There’s nothing to lose but if this payment system becomes a world leading payment method your Qs can be worth a lot. If you missed getting bitcoin seven years ago, you wouldn’t want to miss this. This strategy is definitely interesting: Sign up with just your name and email and you get various Qs (which the site regularly likens to dollars). Invite more members, and your Q count increases. Currently you can only be invited by someone else, and there are lots of people posting their referral codes on Initiative Q’s Facebook and Twitter pages. Once you’ve been invited and signed up, the person who’s invited you needs to approve your registration. Initiative Q says this is so it can be sure real people are signing up. For joining, at time of writing this is Q4,815, but the more people who join, the fewer initial Q you’ll get. Unlock more invites once you’ve referred five people. After all your invites are used up, you’ll then get extra Q for people who sign up via your referees’ invite codes – you get Q for the 41st to 120th secondary referrals. Completing ‘future tasks’ such as installing an app – but these are not yet live. The Initiative Q website says that signing up now and completing all of the above could give you over 48,000Qs equating to $48,000. It says that Qs you’ve built up will be ‘gradually released’ to you if and when the payment network is up and running – according to its timeline, that won’t be until late 2021, and remember, it may not ever get off the ground. Initiative Q says it doesn’t share your data with any third parties such as marketing companies etc., and has stated that if it doesn’t reach enough people, it’ll destroy all user data. The trend of finding the next global currency was kick-started with the immense blow-up of bitcoin, with investors raking in huge payouts thanks to the meteoric rise in price. If you’re unfamiliar with bitcoin, it’s essentially a digital currency that you buy with real money. This currency can then be exchanged online for goods and services, without any central bank tracking how you spend it. It’s fast, discreet and accountable, with each transaction being written on a digital ledger called a blockchain, ensuring that you can always keep track of where your bitcoins are going. The important bit about Initiative Q is, that there’s no money changing hands, at least not yet. One might argue that a database of names and e-mails holds a certain worth; just by providing your name and e-mail and using your time to promote the service, you’re giving something of value to Initiative Q. But the company claims that they haven’t gone to all this effort just to collect a list of names, which makes sense. Making a service invite-only and afterward enabling members to invite more members is an advertising methodology that has been viably utilized by Google. The organization broadly made Gmail — a valuable service as it provided users with a ton of e-mail storage space — invite-only at first, and everyone went crazy about it. Thus, Gmail turned into the world’s most famous webmail client. There’s no guarantee that this will be worth anything at all in the future, let alone the founders’ target of $1 per Q, but there’s likely little harm in signing up if you’re interested and you have nothing to lose. Previous PostThe Perfect Online Business OpportunityNext PostWhat is CBD?